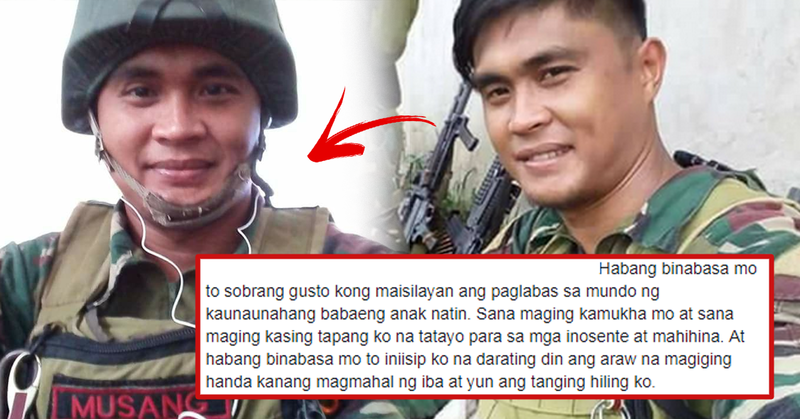 “Sana masilayan ang paglabas sa mundo ng kaunaunahang babaeng anak natin” Read This Farewell Letter of A Soldier To His Wife Before He Died! Before you become a soldier, you have to know that you have to welcome the sacrifice of your life for the welfare and to protect your own country. 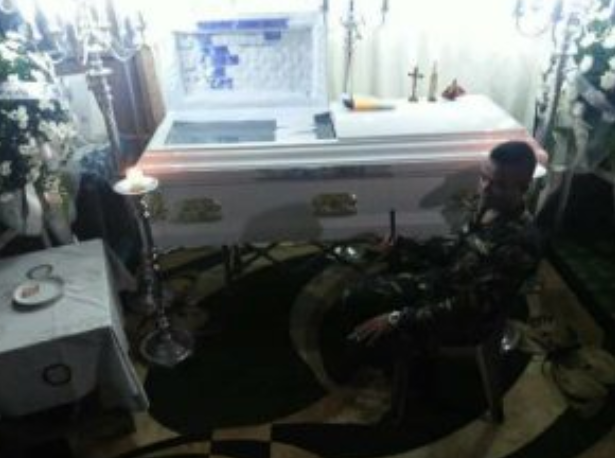 Soldiers are considered as heroes for dispensing courage to attack and protect the nation. 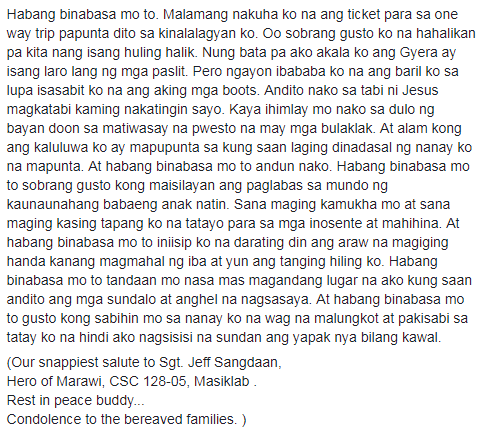 But how would family members and other people close to them handle such loss of these heroic men? 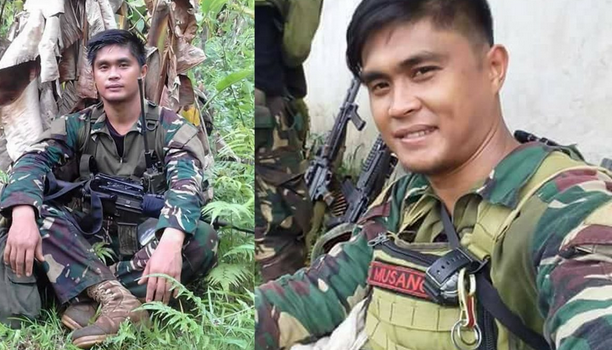 This is Sergeant Jeff Sangdaan, a member of the Scout Rangers, who was assigned to the operation in Marawi City against the Maute terrorist group. He died a hero fighting. A letter was found from Sgt. Sangdaan for his wife. The content of the letter left the mourners and followers to tears. On the letter that Sgt. Sangdaan he wrote he had already prepared for his death and have written this letter for his wife, in case he wouldn’t have a chance to see her again. He mentioned in his letter how he would want to kiss and hold his wife for the last time to say goodbye. He asked his wife not to worry because he’s already safe in paradise and he can see her from where he is right now. He also stated that he desires to see their first daughter be born on this world. He wished that she should look like her mother and be as brave as her father that is willing to protect the innocent and the weak. And this line would move the readers by showing his selfless love for his wife. That he wishes her to move on and if she’s ready, she may find love again. He reassured her that she has nothing to worry about him, and he also asked his wife to send to his mother that she should not be said and also to tell his father that he did not regret his decision of becoming like his father.